I hope some of you didn't make a face in disgust when you read the title of this post! Don't knock it until you try it! 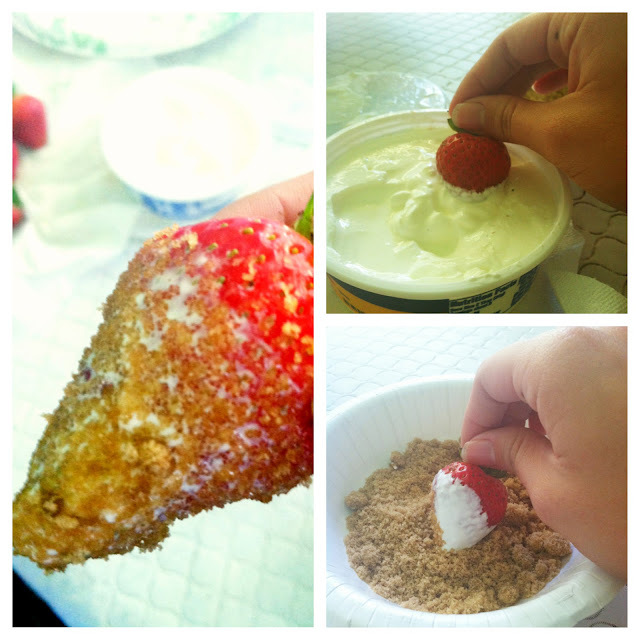 This has to be my favorite end of the summer treat that was introduced to me by a co-worker at the LA County Fair. It's simple, fairly cheap and super fun seeing your friends faces when you try to persuade them to try it out. The ingredients are pretty straightforward, just find delicious ripe strawberries, sour cream of your choosing (I prefer full fat) and regular brown sugar (I didn't de-clump mine due to laziness). Besides the fact that the lighting in my kitchen gave me very few acceptable pictures to work with, this is what your process and delicious finished product should look like! 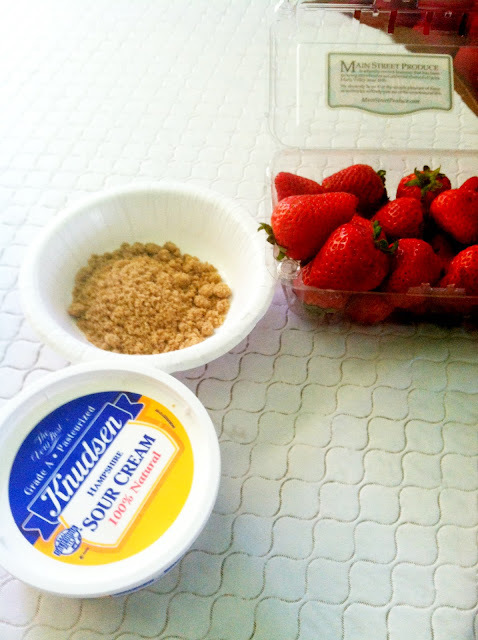 This also can work with plain yogurt if you want to SLIGHTLY healthier but then you cancel out your efforts with the brown sugar so you might as well just give in to the sour cream. It should be a fusion of tangy, juicy and sweet that hopefully you will enjoy and pass on the secret to your friends!